If one of the veterinarians at Belton Veterinary Clinic discovers that your cat has a short term illness, or an ongoing chronic health issue, your kitty may need prescription medication and it will be your job to give it to them. Giving medication to a cat can be challenging when he doesn’t want to cooperate. At Belton Veterinary Clinic, we are here to explain how you can give your cat his medication successfully, without stressing out your feline friend or yourself. We have a well stocked pharmacy for our patients. It is best to get your pet’s prescription filled at our veterinary hospital. Some drugs that need to be compounded or flavored have to be made and then either picked up or mailed to you. For refills on medications, give us a call and we will have your cat's medication ready for pick up. Your pet may need to have occasional blood tests to make sure he is on the correct dosage throughout the prescribed treatment. If you think you may be noticing a change in your cat’s behavior, please call our office at Belton Veterinary Clinic or bring your cat in to see one of our veterinarians. Even the smallest changes in behavior can indicate that your cat is facing a significant health problem and may need medication. If your cat is already on prescription medication, we would be happy to supply you with refills. 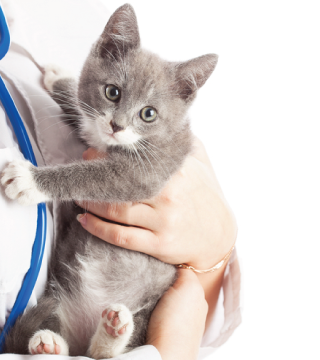 Talk to one of our veterinarians about prescription cat medication at your next visit.